In an era of technology and easily accessible information, our schools still expect from us to know everything from the books, without considering whether this is going to be what we will actually need in our professional development. How many times have you wondered if you were going to need a subjects you were made to learn because the curriculum said so? Finland has decided to change this in their educational system and introduce something which is suitable for the 21st century. By 2020, instead of classes in physics, math, literature, history or geography, Finland is going to introduce a different approach to life through education. 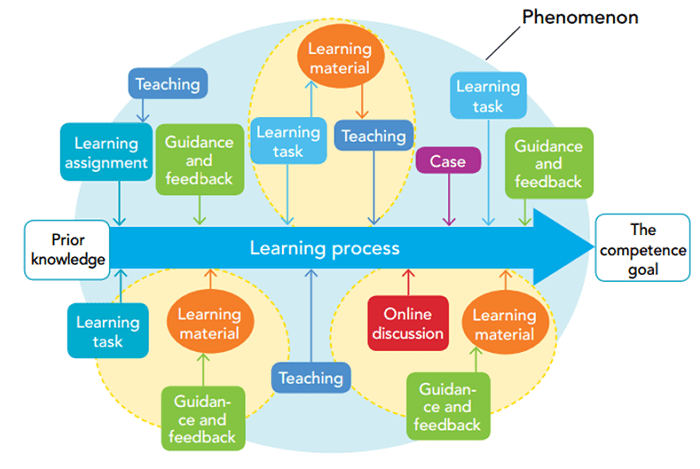 Welcome to the phenomenon based learning! This means that instead of learning physics (or any other subject) for the sake of learning it, the students will be given the opportunity to choose from phenomena from their real surroundings and the world, such as Media and Technology, or the European Union. These phenomena will be studied through an interdisciplinary approach, which means subjects will be included, but only those (and only parts of them) that contribute to excelling in the topic. For example, a student who wants to study a vocational course can take “cafeteria services” and the phenomenon will be studied through elements of maths, languages, writing and communication skills. Another example is the European Union, which would include economics, languages, geography and the history of the countries involved. Now take your profession as an example and think of all the information you need to know connected to it – you are now thinking the PhenoBL way! This kind of learning will include both face-to-face and online sessions, with a strong emphasis on the beneficial use of technology and the Internet through the process of eLearning. You can read more about it here. In the learning process, the students will be able to collaborate with their peers and teachers through sharing information and collectively exploring and implementing new information as a building tool. The teaching style is going to change too! Instead of the traditional style of teacher-centered learning, with students sitting behind their desks and recording every instruction given by the teacher, the approach is going to change to a holistic level. This means that every phenomenon will be approached in the most suitable and natural way possible. This educational system tends to include leaning in a collaborative setting (e.g. teamwork), where they would like to see information being formed in a social context, instead of it being seen only as an internal element of an individual. This approach is going to support inquiry-based learning, problem-solution and project and portfolio learning. The last step is going to be practical implementation, being seen as the outcome of the whole process. This reform is going to require a lot of cooperation between teachers of different subjects and this is why the teachers are already undergoing an intense training. In fact, 70% of the teachers in Helsinki are already involved in the preparatory work in line with the new system. Co-teaching is at the base of the curriculum creation, with input from more than one subject specialist and teachers who embrace this new teaching style will receive a small increase in their salary as a sign of recognition. From a teaching perspective, this style is very rewarding and worthwhile for the teachers too. Some teachers, who have already implemented this style in their work, say that they cannot go back to the old style. This is indeed not surprising at all, as the interaction in this teaching style is something every teacher has always dreamed of. Currently, schools are obliged to introduce a period of phenomenal-based learning at least once a year. The plan is to completely implement the PhenoBL approach by 2020. A similar approach called the Playful Learning Centre is being used in the pre-school sector and it is going to serve as a starting point for the phenomenal-based learning.